Lately, as some of you may know, I've been having sensitivity to gluten. Which as a baker is a new challenge! I've learned a lot through this process on how to alter recipes and really change how I look at non gluten free recipes! 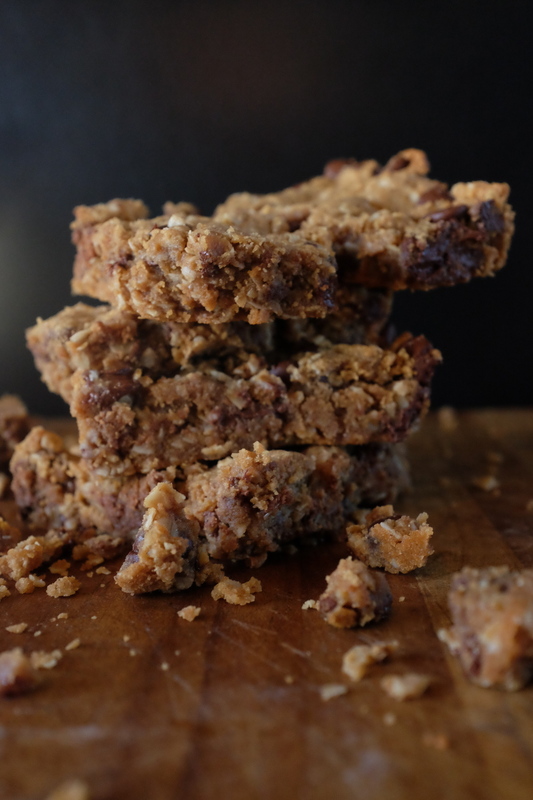 If some of you bakers out there are like me; I love a quick delicious cookie bar, like all the time! 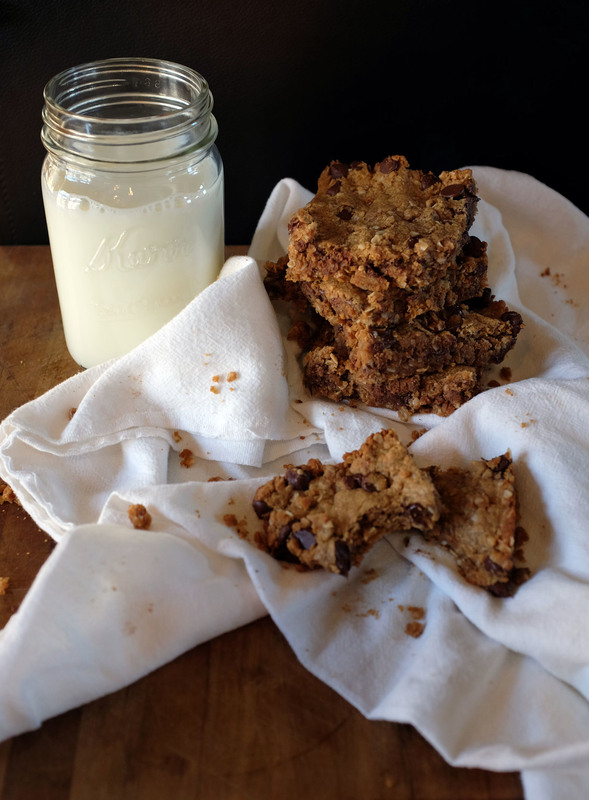 Since I've been changing it up with my flour choices (gluten free alternatives) I decided to use regular oats in their natural form for these bars! TALK ABOUT YUMMY! These bars and peanutty, chewy and have just the right amount of chocolate. If any of you guys are dairy intolerant, just use these chocolate alternative chips here. These "chocolate chips" can be found at your local grocery store! Using a rubber spatula, add in the chocolate chips of your choice and mix until all combined! Using an 8x8 in baking pan, spread evenly along the bottom of the pan and place in the oven for 15-20 minutes! Remove when the dough is a darker brown and let cool for about 10 minutes until you jump in to munch! If you have any questions or try my recipes please tag @front__paige and #frontpaige! When you find yourself looking for cooking gadgets and goodies check out my links below for some great deals!